United Paws of Tillamook Income for 2008 exceeded 2007 Income. In 2007, we brought income in of $45,022 and this year we outdid ourselves with income of $58,787, even as the economy has gone “south.” From this standpoint, United Paws continues to be successful. Our grants and awards were close to $14,000 in 2007; in 2008, we received $21,968 in grants and awards. Nearly half of our income came from out of county, but some undoubtedly from people owning second homes in Tillamook County. Less than 5% of our income went toward administrative costs (our liability insurance is reimbursed by TLC Federal Credit Union) since this is an all-volunteer grass roots organization. Not only are we not paid, most of the United Paws volunteers pay out of their pocket for many expenditures. Nearly $41,000 was paid out last year to local veterinarians, thus boosting the county economy, much of these dollars coming from out of county. The spay/neuter program is maintained by one person who responds to a hotline call for assistance. The spay/neuter volunteer negotiates every single authorization; while this may seem inefficient compared with other groups, such as Feral Cat Coalition that has set policies, we feel it is vital in our small community – if UP were to insist that every client pay a set amount, many animals simply would not be sterilized. Since January 1, 2009, United Paws has approved 193 cats and dogs for spay/neuter. United Paws (UP) sterilized 848 animals in 2008; throughout the whole of 2007 we sterilized 656. Our total number now stands at 2,562 (2/20/09). This number does include the 110 cats spayed/neutered by the August 2008 Neuterscooter mobile clinic and the 134 cats spayed/neutered at the clinic’s February 2009 event. We helped 172 needy residents of Tillamook County to spay and neuter their companion animals; we assisted 157 residents, many of whom are the economically disadvantaged, to sterilize feral cats they care for; and we spayed and neutered 71 animals adopted from our foster program. This is the program which fluctuates a lot with volunteers, increasing, then decreasing their time commitment. It was never the original goal of the two United Paws “founders” to take on such an ambitious program; while rewarding it is a stressful burnout situation as there are no county resources for volunteers to fall back on. It knows no boundaries and the requests for help are endless. It takes a lot of creativity to come up with hopeful solutions for animals in crises. Somehow, the answers seem to come for the most part. This year 163 animals were adopted. Of this number 10 were dogs. The adoption program is formalized, with foster guidelines, applications to adopt, references checked, adoptathons held, adoption fees applied to cover spay/neuter, inoculations/worming/fleas/mites. 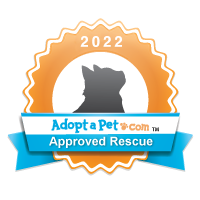 With no foster homes available, self-fostering is the offered option, which includes spay/neuter, various advertising, and the live adoptathon. Additionally, volunteers will screen applicants for self-fostered homes, although the home has the last say where the animal will go. UP intends to continue offering financial assistance for spay/neuter, because clearly need continues; and, given the economic situation everyone is facing, we can expect more cries for help. We are committed to feral cats and will continue to do everything we possibly can for them, they are so friendless and endure such harsh lives. We shall continue to respond to emergency situations involving companion animal suffering as we are able. The future for United Paws? This all volunteer, grass roots organization has grown beyond all expectations. It has proven that a few people can make a difference in a county where before, there was no real resource for its cats and dogs. The message of spay/neuter continues to spread. People who once picked up a free kitten at the grocery store now are willing to pay small adoption fees. 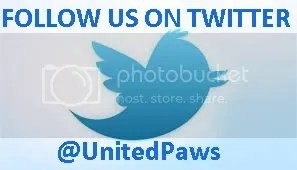 United Paws depends solely upon private donations, grants, awards for its existence. In this very difficult global and national economy, can United Paws survive? We are hopeful! The Credit Union renews UP’s liability insurance with local brokers, Hudson Insurance. UP continues partnering on the spay/neuter promotion with the Credit Union. We receive three substantial out-of-county grants: from a Foundation in Texas dedicated to alleviating and preventing cruelty to animals; from a Trust in Portland, Oregon, dedicated to helping the elderly and needy with their pet expenses; and from PETCO. In addition, we are successful at securing grants locally from the Eugene Schmuck Foundation and Hope Chest Thrift Shops – the first time these worthy groups serving the two-legged of the county have donated to the four-legged. When Friends of Seniors, Tillamook Co., disbands, they donate funds to UP. Other local enterprises that donate to us spontaneously are Reigning Cats and Dogs, Bay City Boosters, St. John’s Church, Women of the Moose, Tillamook Moose Lodge, Tillamook Forest Center, and TP Freightlines. In honor of National Spay Day, February 27, UP issues press releases, which are picked up by the North Coast Citizen (02/22/07) and the Headlight-Herald (02/28/07) newspapers; also the local cable TV station as well as radio stations Coast-105 and KMUN/KTCB broadcast information about this important day. Throughout the year we continue our media blitz with articles published in both local newspapers and farther afield, such as The Daily Astorian, Oregon Coast Today, Coast Weekend, and Bow-Wow on such diverse topics as beware of steel-jawed leg-hold traps; “Be Kind to Animals Week,” May 6-12; keeping companion animals safe over Halloween; to a book review of Nathan O. Winograd’s Redemption, The Myth of Pet Overpopulation and the No Kill Revolution in America. We regularly run “Pet of the Week” ads in the Headlight-Herald, sponsored by Les Schwab Tires; Jack T. Coy, dentist; TCCA Farm Store; and Pete Anderson Realty; and the North Coast Citizen, sponsored by Windermere realtor Susan Tone. Spontaneously, citizens write letters-to-the-editor praising our work, and independent columnists laud our efforts within the community. With much fanfare in April, we happily announce to the media that UP’s spay and neuter numbers pass the 1,000 milestone! In July UP stages its first feline adoption event. We adopt out 12 cats – but have to take in 6, a mother and 5 kittens, who were dumped on the doorstep where the event was held. We decide to continue with the adoption afternoons, but add a notice to our posters and press releases that abandoning an animal is illegal, punishable by 6 months in jail and a $2,500 fine. Various local businesses come forward to pay for ads in The Shopper to advertize our kitty-a-thons. We average around 8 cats adopted at each kitty-o-rama. At a memorial service in July in Wheeler, at the request of the widow, donations in the deceased’s name are made to UP; we receive almost $900. Our third annual rummage sale nets over $2,000 in August; Netarts Fire Department again generously donates the use of its hall for this event. We partner once more with those hoping to set up an animal shelter at the second “Cat’s Meow” at Pioneer Museum in September. Taking advantage of a generous offer by the People’s Utility District (PUD), we insert flyers into 17,400 bills sent to Tillamook’s PUD customers in September. This costs us $340 in printing, but we recoup over $2,200 in donations . . . and gather more supporters. The October/November edition of Hipfish magazine, distributed along the north Oregon coast, showcases the work of United Paws with feral cats both on its front cover and in a feature article. We estimate that to date we have helped over 400 needy Tillamook Co. residents and families with their companion animal spays and neuters and more than 200 persons to spay and neuter feral colonies, ranging anywhere from 3 cats to 3 dozen. We spay and neuter 619 cats and dogs in 2008 alone, a truly phenomenal number for such a small group as UP. We raise over $45,000, of which over $30,500 is paid to local veterinarians, primarily for spay/neuter surgeries. Again we have a fund carryover balance into 2008. 2008 to date: Northwest Senior & Boomer News, Oregon’s largest 50+ newspaper distributed to 60,000 readers, runs a feature-length article on UP in January. We continue showcasing our work through local media with articles, announcements, ads, in the hopes that this will spread the culture of spay/neuter throughout our community and bring in much-needed donations, supporters, and volunteers. We receive a grant from a Washington-State Foundation dedicated to spaying and neutering. The Portland-based Trust that donated to us in 2007 donates more in 2008. We receive $1,000 from a Tillamook Co. donor, the largest donation from one individual to date. While donated funds have steadily increased as United Paws has intensified its efforts, demand for our services, as well as the cost of providing those services, have increased considerably. Total number spayed/neutered as of 31 December 2007: 1,522. As of March 2008, we authorize the spay/neuter of 136 Tillamook Co. dogs and cats. UP achieves local recognition through a grant from the board of the Charity Drive, the Kids Making Miracles for Kids fundraiser run by students of Tillamook High School – UP is the first animal organization to receive such a donation. UP achieves national recognition through our first grant from PETCO Foundation. UP partners with TLC Credit Union in a promotion whereby the Credit Union generously pays for two cat spays and two cat neuters a month. The Credit Union again donates the cost of liability insurance. We go online with our website. The second annual rummage sale nets just shy of $2,000; this year, Netarts Fire Department donates the use of its hall for this event. In September, UP partners with those hoping to set up an animal shelter in “The Cat’s Meow” Art Show at Pioneer Museum. At the request of Tillamook Farmers’ Market, UP hosts a photo booth for doggies to have their photos taken with Santa. UP is alerted to a large colony of malnourished, diseased cats along Highway 101. We TNR all the animals, find homes for those who are adoptable, and sadly euthanize those who are too ill to enjoy a quality of life. We install feeders and shelters. Local businesses are pleased with the results – no more starving, sickly cats; instead, a manageable colony of sleek and sassy felines. A local business feeds them daily with food provided by UP. By the end of the year, total spay and neuter numbers reach 903; and we estimate our offshoot foster program has found “forever” homes for over 600 homeless cats and dogs. We raise over $22,000, of which more than $17,000 is paid to local veterinarians, primarily for spay/neuter surgeries. We enter 2007 with a fund balance carryover. Donations from within Tillamook Co. exceed those from out-of-county for the first time. Several residents start a trend of requesting that donations be made to UP in memory of a deceased relative. A UP volunteer holds the first annual rummage sale and nets almost $2,000. TLC Credit Union, Tillamook, donates the cost of general liability and board insurance; UP buys insurance through Hudson Insurance Company, a local Tillamook business, thereby keeping business local. We run a spay/neuter clinic with a local veterinarian at Clatsop Co. Animal Shelter, which kindly donates their facilities for this purpose. We raise over $13,000, of which $12,700 is paid to local veterinarians, primarily for spay/neuter surgeries. Our total number of Tillamook Co. cat and dog spays and neuters reaches 523. The original founder of UP in Lincoln Co. resigns. UP opens a bank account in Tillamook, thereby transferring the organization to Tillamook Co. We roll up our sleeves and start work in earnest in our community! UP funds the Oregon Neutermobile to come to town and spays/neuters 245 companion cats and dogs and feral cats. UP extends northward to Tillamook County to spay/neuter ferals. United Paws (UP) is founded in Lincoln County and works exclusively in that county. This entry was posted in About United Paws. Bookmark the permalink.